But let’s get serious. This article was Originally published at Open Democracy. I found it at the highly recommended website Evonomics: The Next Evolution of Economics. The embedded videos are excellent in helping to convey the key points. 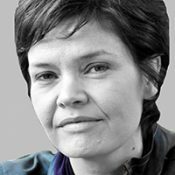 Kate Raworth is a senior visiting research associate at Oxford University’s Environmental Change Institute and a senior associate of the Cambridge Institute for Sustainability Leadership. Her new book is Doughnut Economics: seven ways to think like a 21st century economist. Visit her website and follow her @KateRaworth. Economics matters enormously for the future, but its fundamental ideas are centuries out of date. No one can deny it: economics matters. Its theories are the mother tongue of public policy, the rationale for multi-billion-dollar investments, and the tools used to tackle global poverty and manage our planetary home. Pity then that its fundamental ideas are centuries out of date yet still dominate decision-making for the future. Today’s economics students will be among the influential citizens and policymakers shaping human societies in 2050. But the economic mindset that they are being taught is rooted in the textbooks of 1950 which, in turn, are grounded in the theories of 1850. Given the challenges of the 21st century—from climate change and extreme inequalities to recurring financial crises—this is shaping up to be a disaster. We stand little chance of writing a new economic story that is fit for our times if we keep falling back on last-century’s economic storybooks. When I studied economics at university 25 years ago I believed it would empower me to help tackle humanity’s social and environmental challenges. But like many of today’s disillusioned students its disconnect from relevance and reality left me deeply frustrated. So I walked away from its theories and immersed myself in real-world economic challenges, from the villages of Zanzibar to the headquarters of the United Nations, and on to the campaign frontlines of Oxfam. In the process I realized the obvious: that you can’t walk away from economics because it frames the world we inhabit, so I decided to walk back towards it and flip it on its head. What if we started economics with humanity’s goals for the 21st century, and then asked what economic mindset would give us half a chance of achieving them? 1. Change the goal: from GDP growth to the Doughnut. For over half a century, economists have fixated on GDP as the first measure of economic progress, but GDP is a false goal waiting to be ousted. The 21st century calls for a far more ambitious and global economic goal: meeting the needs of all within the means of the planet. Draw that goal on the page and – odd though it sounds – it comes out looking like a doughnut. The challenge now is to create local to global economies that ensure that no one falls short on life’s essentials – from food and housing to healthcare and political voice – while safeguarding Earth’s life-giving systems, from a stable climate and fertile soils to healthy oceans and a protective ozone layer. This single switch of purpose transforms the meaning and shape of economic progress: from endless growth to thriving in balance. 2. See the big picture: from self-contained market to embedded economy. Exactly 70 years ago in April 1947, an ambitious band of economists crafted a neoliberal story of the economy and, since Thatcher and Reagan came to power in the 1980s, it has dominated the international stage. Its narrative about the efficiency of the market, the incompetence of the state, the domesticity of the household and the tragedy of the commons, has helped to push many societies towards social and ecological collapse. It’s time to write a new economic story fit for this century – one that sees the economy’s dependence upon society and the living world. This story must recognize the power of the market—so let’s embed it wisely; the partnership of the state—so let’s hold it to account; the core role of the household—so let’s value its contribution; and the creativity of the commons—so let’s unleash their potential. 3. Nurture human nature: from rational economic man to social adaptable humans. The character at the heart of 20th century economics—‘rational economic man’—presents a pitiful portrait of humanity: he stands alone, with money in his hand, a calculator in his head, ego in his heart, and nature at his feet. Worse, when we are told that he is like us, we actually start to become more like him, to the detriment of our communities and the planet. But human nature is far richer than this, as emerging sketches of our new self-portrait reveal: we are reciprocating, interdependent, approximating people deeply embedded within the living world. It’s time to put this new portrait of humanity at the heart of economic theory so that economics can start to nurture the best of human nature. Doing so will give us—all ten billion of us to come—a far greater chance of thriving together. 4. Get savvy with systems: from mechanical equilibrium to dynamic complexity. Economics has long suffered from physics envy: awed by the genius of Isaac Newton and his insights into the physical laws of motion, 19th century economists became fixated on discovering economic laws of motion. But these simply don’t exist: they are mere models, just like the theory of market equilibrium which blinded economists to the looming financial crash of 2008. That’s why 21st-century economists embrace complexity and evolutionary thinking instead. Putting dynamic thinking at the heart of economics opens up new insights for understanding the rise of the one percent and the boom and bust of financial markets. It’s time to stop searching for the economy’s elusive control levers (they don’t exist), and instead start stewarding the economy as an ever-evolving system. 5. Design to distribute: from ‘growth will even it up again’ to distributive by design. In the 20th century economic theory whispered a powerful message when it comes to inequality: it has to get worse before it can get better, and growth will eventually even things up. But extreme inequality, as it turns out, is not an economic law or necessity: it is a design failure. Twenty-first century economists recognize that there are many ways to design economies to be far more distributive of value among those who help to generate it. And that means going beyond redistributing income to pre-distributing wealth, such as the wealth that lies in controlling land, enterprise, and the power to create money. 6. Create to regenerate: from ‘growth will clean it up again’ to regenerative by design. Economic theory has long portrayed a clean environment as a luxury good, affordable only for the well-off—a view that says that pollution has to increase before it can decline, and (guess what), growth will eventually clean it up. But as with inequality there is no such economic law: environmental degradation is the result of degenerative industrial design. This century calls for economic thinking that unleashes the potential of regenerative design in order to create a circular, not linear, economy—and to restore ourselves as full participants in Earth’s cyclical processes of life. 7. Be Agnostic about Growth: from growth-addicted to growth-agnostic. To the alarm of governments and financiers, forecasts for GDP growth in many high-income countries are flat-lining, opening up a crisis in growth-based economics. Mainstream economics views endless GDP growth as a must, but nothing in nature grows forever, and the economic attempt to buck that trend is raising tough questions in high-income but low-growth countries. That’s because today we have economies that need to grow, whether or not they make us thrive. What we need are economies that make us thrive, whether or not they grow. That radical flip in perspective invites us to become agnostic about growth and to explore how our economies—which are currently financially, politically and socially addicted to growth—could learn to live with or without it. I am convinced that these seven ways to think like a 21st-century economist are fundamental to the new economic mindset this century demands. Their principles and patterns will equip new economic thinkers—and the inner economist in us all—to start creating an economy that enables everyone to prosper. Given the speed, scale and uncertainty of change that we face in coming years—and the diversity of contexts from Beijing to Birmingham to Bamako—it would be foolhardy to attempt to prescribe now all the policies and institutions that will be fit for the future. The coming generation of thinkers and doers will be far better placed to experiment and discover what works as the context continually changes. What we can do now—and must do well—is to bring together the best ideas to create a new economic mindset that is never fixed but always evolving. The task for economic thinkers in the decades ahead will be to bring these seven ways of thinking together in practice, and to add to them. We have barely set out on this adventure in rethinking economics. Please join the crew. Kate Raworth’s new book is Doughnut Economics: seven ways to think like a 21st century economist. Originally published at Open Democracy. This entry was posted in Economy and tagged 21st century, donut day, Doughnut Economics, ecological economics, kate raworth, national doughnut day.